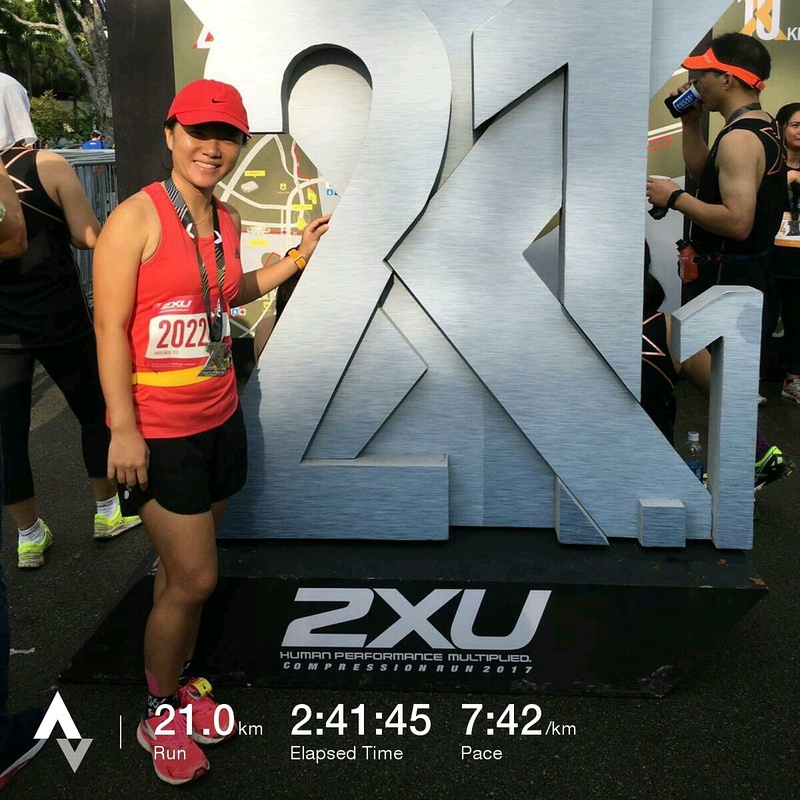 Race Review: 2XU Compression Run 2017 [21.1KM] (by maylindateo) | JustRunLah! 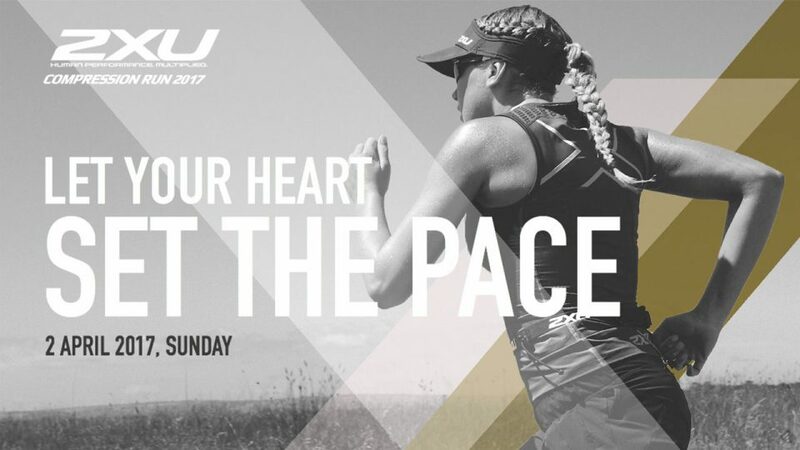 Let your heart set the pace – I love this slogan. 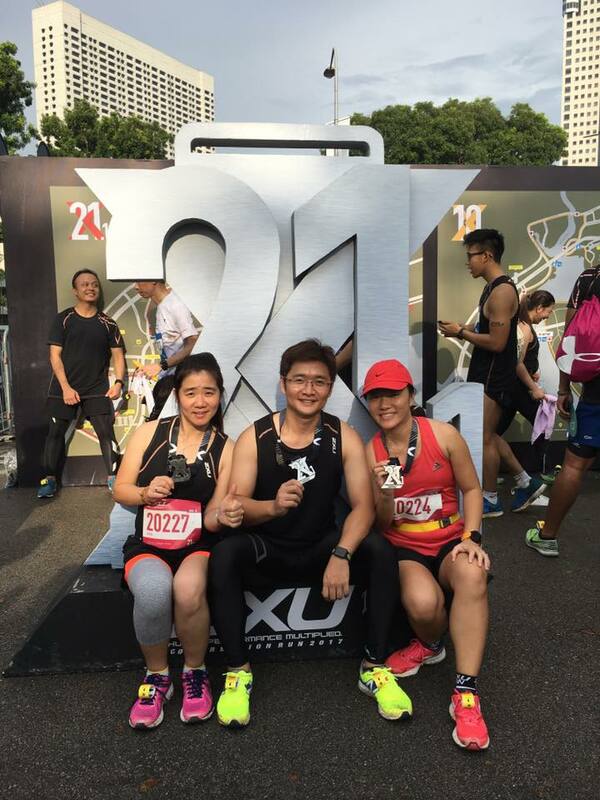 This is my third time running 2XU half marathon and also the most crowded one. 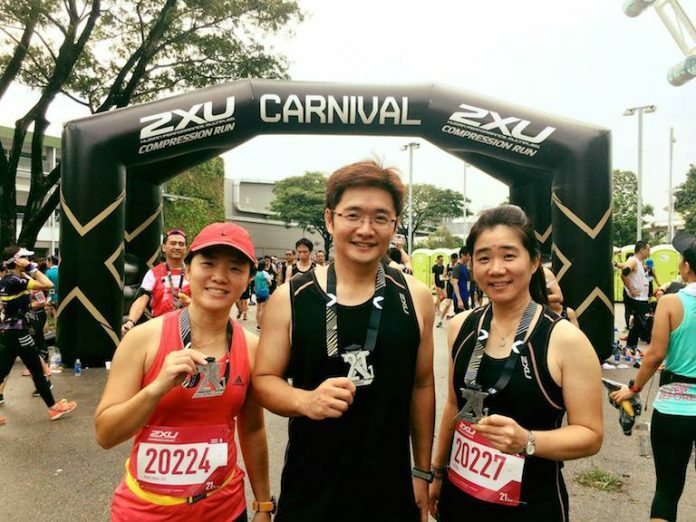 Just for 21.1KM category alone, there were 6042 women and 12357 men. So that add up to a total of 18399 runners! There were also 5KM men and women and 10KM men and women categories too. Imagine! The main reason could be the additional Polo T-shirt that they were giving as part of joining the race in addition to the usual race singlet. So people who signed up for any category will get 2 shirts and half marathon finishers will get the 3rd one. Race pack collection venue was at Marina Square Central Atrium from 24 – 26 March 2017. I went on Friday late afternoon and was shocked to see the extreme long queue. I was told by one of the staff to come another time instead if I don’t want to queue. There were another collection the following week too at Novena Square. But I decided to just join the queue since I made special arrangement to come and didn’t want to waste my trip. Though the queue was long but it was moving at a reasonable speed. I was able to collect my race pack in exactly one hour. Some friends who came after work had to queue for 2.5 hours. This was the first time I experienced such a long queue for a REPC. It obviously was due to the tremendous increase in the number of runners this year especially for the half marathon category. However, people who went on Saturday and Sunday experienced a breeze collection because most have already collected on Friday. There was a T-shirt exchange bulletin board near the collection counter for runners to exchange their shirt size with each other if the size doesn’t fit. People could just write down their messages on the post-it notes provided and paste it on the board and whoever could find an exact match would contact the person to do the exchange. It seemed that many people needed an exchange because the sizing was slightly bigger than previous years. However for myself, the size was right, I didn’t need to change. Woke up at 2:30AM and ate some light breakfast before heading to take the shuttle bus at Ang Mo Kio MRT pick up point. Reached there at around 3:12AM and saw 2 buses had left. So boarded the 3rd bus and there were still buses behind. I reached F1 pit at about 3:40AM and there were already many people doing warm up and waiting for friends. The portaloos were also having long queues. Avoid drinking too much water in the morning before a race but drink lots of water few days before a race to hydrate your body first. I couldn’t comment on the bag deposit as I didn’t make use of it but there were queues. Flag off time was 4:30AM for half marathon which was very early but the good thing is, even slow runners can complete the race before the sun gets hotter ☺. I walked to the start pen holding area and managed to position myself at wave 1. I heard from my friends that wave 2 and 3 were horribly crowded and they had a hard time squeezing through. There were 8 waves needed to separate the runners to avoid serious congestion. I think if you take part in this kind of popular races, you have to expect this kind of masses. But it makes the event engaging and creates an upbeat atmosphere of running as a big community. Flag off happened at around 4:30AM for wave 1 and we were off running our half marathons and hoping to beat our own Personal Bests (PBs). The running route was good with not much bottleneck issues. 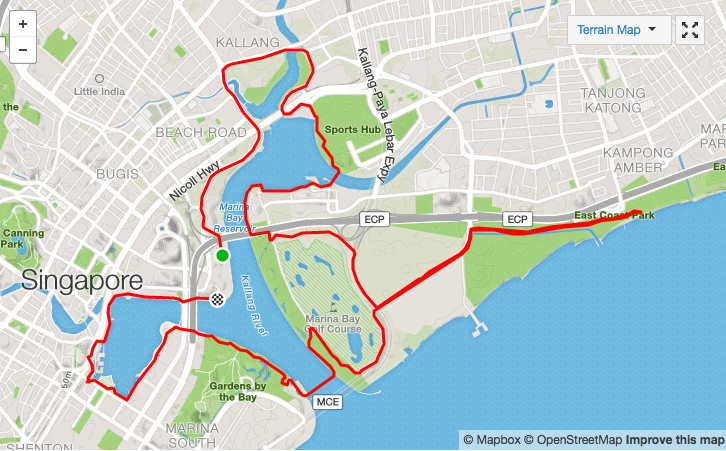 The run from Marina East Dr through ECP Park Connector, U-turn at PA Water Venture and back was cooling with little drizzles. Lightning flashes in the sky felt like it was taking our running shots. Saw many fast runners were already running back before I even reached the U-turn point. Hydration along the route was plentiful. Runners could grab cups after cups of Pocari Sweat or water. However, throwing so many of these cups on the floor became a hazard for many. I noticed a lot of people just threw the cups (even bottles) anywhere they like and not be very considerate to throw into the rubbish bags provided. So we had to be careful and not step onto any of the rubbish. I passed the 2:30 hour pacers at first and was running at a steady pace. At around 5 or 6 KM, I still didn’t see the pacers around and was wondering if they have passed me without me noticing? How could I miss them carrying so many purple balloons? Until at about 8 KM, I felt balloons were touching my head from behind and finally saw the pacers catching up and running by my side. So I knew I was running too fast and eventually I couldn’t sustain my pace anymore and had to watch the pacers running off far ahead of me and I couldn’t catch up. Took my energy gel at 12KM mark and continued running non stop. Many runners were strong and fit and did not take walk breaks at all. 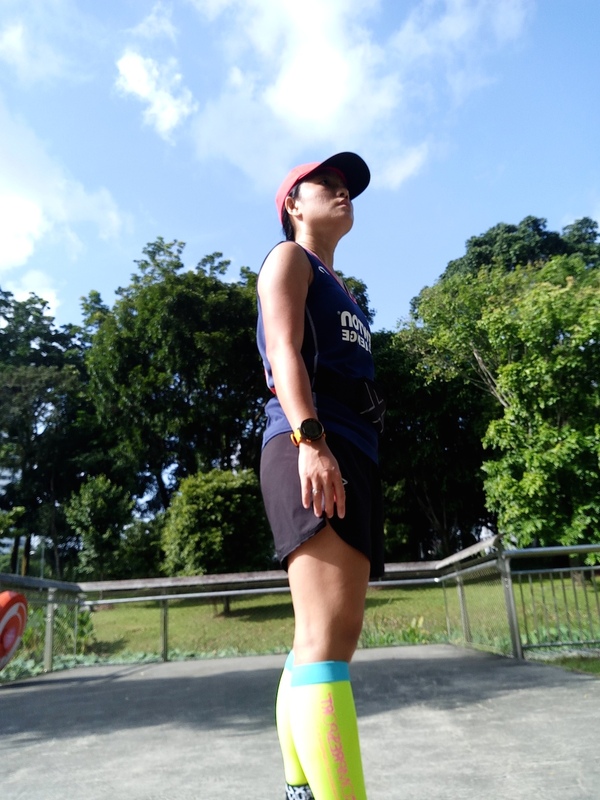 Though I was having plantar fasciitis on my right foot (pain on the heel bone and area around it), but with the support from my running shoe, I was still able to run without much of a problem. Though this was my 7th half marathon thus far, seeing the finish line was still the best feeling ever. Crossed the line at 2 hour 41 minutes and it was a humble PB ☺. 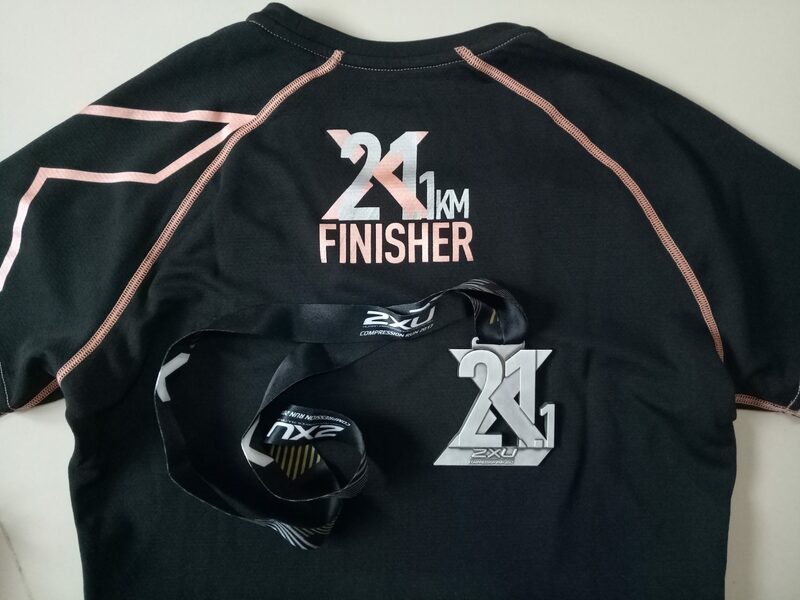 Congratulations to my brother who had achieved his PB too at 2 hour 21 minutes! Well done! After run with my bro and sis. This race has been one of the most famous running events in Singapore and many avid runners would join without question. 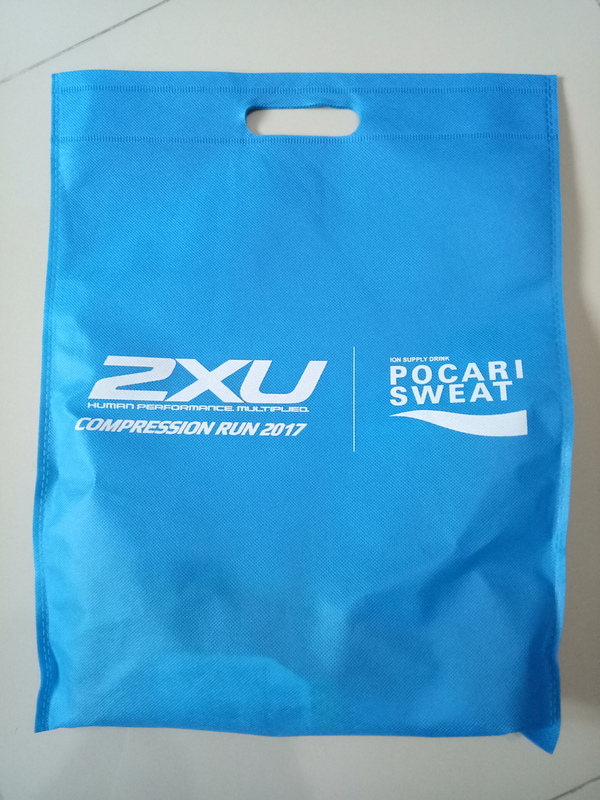 One of my favourites too because it is well organised and hydration provided is Pocari Sweat instead of some other types of isotonic drinks! Organiser would make prompt announcement in regards to waiting time to collect your race pack and weather condition prior to race day. Well done and can’t wait for next year!